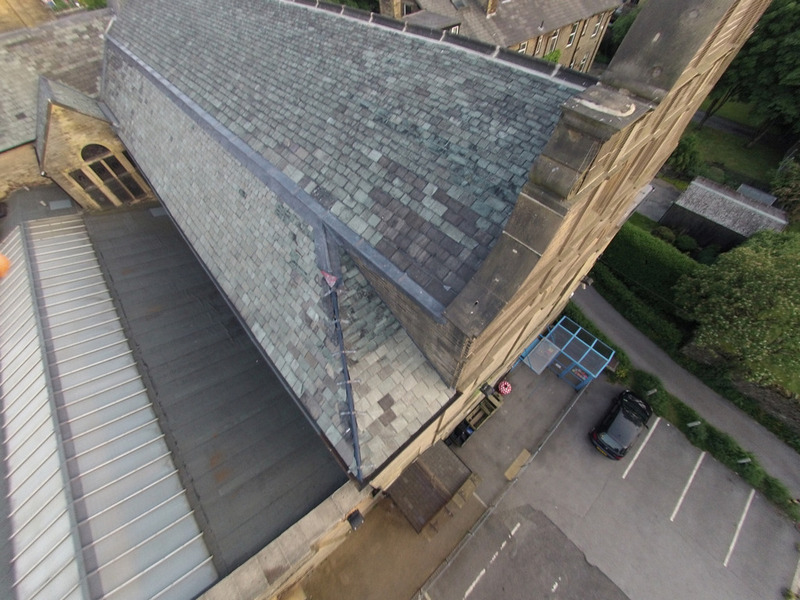 We have some positive multicopter news from our own neck of the woods here in Yorkshire. Last week metal thieves were spotted near a church in Queensbury, following a 999 call they sped away in a car with the police giving chase, eventually the suspects were caught. The problem then was to get evidence to the extent of any roof damage, the local councillor Paul Cromie turned to a local multicopter enthusiast, Gary Brown, who kindly snapped a photo using his DJI F550 with a GoPro.